California, already the U.S. vanguard in distributed solar power, may soon break new ground in requiring “smart” functionality for the inverters that connect all that solar at the grid’s edge. But, as with every aspect of solar’s growth in the Golden State, this push toward solar inverter-grid integration has been fraught with complications and conflict. In the next month or so, the Smart Inverter Working Group (SIWG), formed by the California Public Utilities Commission and California Energy Commission, is preparing a final version of recommendations for changes to Rule 21, which regulates grid-interconnected distributed generation resources, including customer-owned solar. These recommendations would require small-scale solar inverters to perform specific automated grid-balancing functions they don’t perform today -- including several that aren’t allowed under the current national standards that regulate grid-connected devices. They also outline a schedule for these advanced inverter functions to begin pilot testing in mid-2014, with a goal of making them mandatory for all grid-connected systems in the state by October 2015. 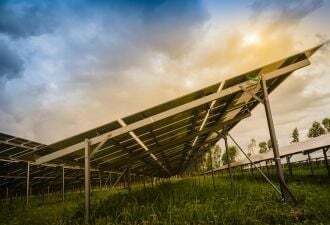 Utilities in the state have said they need these capabilities turned on to avoid the kind of threats of distribution grid disruptions that Germany is facing with distributed solar power. They also warn that without them, the state may be forced to retrofit its solar inverter fleet, as Germany has done at considerable cost. But solar industry and green energy advocates have made clear that the proposed Rule 21 changes, as they’ve emerged over the course of this year, need some work to bring the costs and challenges of compliance into proper balance. The Solar Energy Industries Association (SEIA) and its state chapter, CalSEIA, objected in a July filing with the CPUC (PDF) that the proposals could impose costly and technically unproven solutions to grid problems that haven’t yet emerged for utilities, while potentially putting California regulations out of step with the rest of the country. Those include the ability to ride through momentary grid disruptions without tripping offline, which could further destabilize the grid. At the same time, inverters need to be prevented from mistakenly sending electricity onto power lines that really have lost grid power -- a capability known as “anti-islanding.” Because national standards such as IEEE 1547 and ANSI/UL 1741 still prohibit this kind of functionality, SIWG is asking Underwriters Laboratory (UL) to push ahead with utility-specific amendments to allow testing to proceed in California, in advance of slower-developing changes for the national standards. 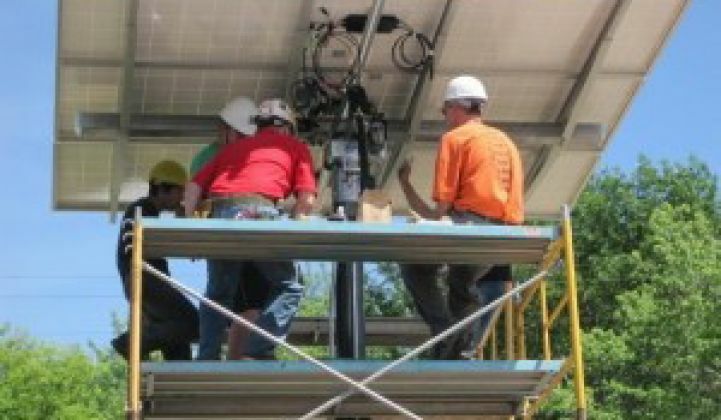 And in an August CPUC filing (PDF), the nonprofit group Clean Coalition noted that some of the proposed inverter features “could have a significant negative impact on system revenue, and new rate structures will need to be developed to mitigate these impacts.” These features include dynamic reactive power injection, as well as ramping requirements, that could effectively reduce the amount of energy that solar systems put onto the grid -- and thus reduce the money they make under the state’s net metering rules. The debate has also engaged solar inverter manufacturers in some competitive posturing over which companies may stand to lose or gain from the proposed regulations. As GTM Research analyst MJ Shiao has noted, most inverters on the market today are technically capable of performing many of the functions being proposed. But setting up the infrastructure for testing, certifying and deploying them en masse could set significant roadblocks to speedy adoption in a market as big as California’s. Greentech Media’s U.S. Solar Market Insight Conference, taking place on December 10-11, will delve into details on these topics, in particular during its "Innovation at the Grid Edge: The Foundation for a High-Penetration PV Future" session. It’s good timing, considering that SIWG’s proposed Rule 21 changes are now going through a final round of comments before the CPUC under proceeding R1109011, on their way to potentially being made official early next year. Here’s a brief overview of the state of play. First of all, it’s important to note that solar industry advocates aren’t against the idea of advanced inverters, or asking distributed solar to play a role in balancing the impacts it has on the grid, Bernadette Del Chiaro, executive director of CalSEIA, said in an interview last week. “The industry absolutely recognizes that technology is always changing, and smart policy can help shape technology,” she said. “But you’ve got to do it in a rational, well-organized, clearly communicated way, to not place requirements on an industry that’s not ready for them, which can cause disruptions, price spikes," and other problems, she said. Those concerns were at the root of SEIA and CalSEIA’s vocal opposition this summer, after the CPUC held a June workshop (PDF) to present SIWG’s plans. Since then, the group has worked many of the solar groups’ key criticisms into newer versions of its recommendations. 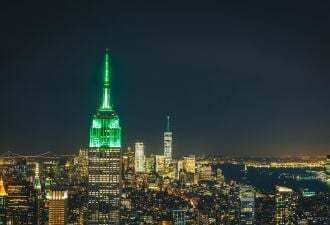 Most notably, it has adjusted its timetable to put eighteen months between the start of UL test plans and California-specific rule revisions in March 2014, and requiring them for new installations as of October 2015. The other big question was why California should jump ahead of work underway for IEEE 1547.8, the standards group working on nationwide advanced inverter functionality. The problem here, according to industry observers, is that those discussions are moving too slowly to meet California’s needs. Michael Mills-Price, who leads solar-grid integration work for inverter maker Advanced Energy, agreed that changes to IEEE 1547.8 are still bogged down in draft form. To get around this, IEEE pushed through another set of standards, IEEE 1547.a, that allows changes like those California is contemplating to move on ahead of national standards, he said. The alternative to pushing ahead in this fashion could be utilities denying new solar interconnections on parts of the grid facing what utilities consider to be disruptive levels of distributed generation, Steve Hummel, vice president of research, development and engineering at AE, said. This brings up the broader debate about just how disruptive distributed solar is to the grid, and what are the best ways to deal with those disruptions when they do occur. Utilities have long argued that customer-owned generation can cause significant disruptions in areas where it approaches 20 percent or more of total energy on a local grid, and have expressed concerns that existing grid equipment will quickly wear out and need replacement under those new stresses. Del Chiaro brought up a counterargument, contending that the solar industry shouldn’t have to bear the brunt of the grid’s inability to handle distributed generation. “The grid has been in need of being upgraded, in need of investments [for decades],” she said. That’s a problem in the context of the SIWG’s proposals, she said, in that they’re all weighted toward giving utilities control over inverter functions that could actually decrease the value of the solar power they’re putting onto the grid. Take the proposed smart inverter functions dealing with reactive power -- in simple terms, a discrepancy between voltage and current caused by certain loads on the grid, which lessens the amount of “real” power available to do the work that electricity performs. Reactive power can be a significant problem on long feeder lines connected to big solar systems, and is much more efficiently dealt with locally, rather than at the transmission level where utilities have the resources to do so. SIWG’s proposed rules would call for smart inverters to provide reactive power, both at fixed power-factor levels and dynamically in response to voltage changes. But for every VAR of reactive power an inverter injects onto the grid, it loses a measure of the equivalent real power that’s counted for the purposes of net metering. The same goes for ramp rates, or settings for inverters to gradually raise or lower how much power they’re putting onto the grid, which is seen as a way to help avoid sudden solar spikes or drops from clouds passing overhead, or to help restart the grid after an outage. Because power not being delivered equals power being wasted in that moment, ramping requirements will lead to a total reduction in power that’s being compensated for under net metering -- though just how much is unclear. While the first round of Rule 21 changes would only set automatic responses for each inverter, the next stage, which involves two-way communications, could allow utilities to remotely modify ramp rates, power factor and volt/VAR curves. The solar industry, already nervous about California’s investor-owned utilities’ fight to limit the share of payments they’re forced to make to net-metered customers, could see those capabilities as further threats to their independence from utility interference. The SIWG’s approach to these issues was to say, “We’re going to deal with the technical issues first,” Cleveland said. “Then, we fully recognize that there have got to be some tariff changes.” These changes are already being set in place by AB 327, the California law passed this year, which orders the CPUC to extend the state’s solar net metering program, and allows the state’s IOUs to request broad changes to the way they charge residential customers for energy. In the meantime, however, “Some of the reason for the utilities being as anxious as they are in getting this stuff in, is not to use it all over the place, but in some real critical areas where they need it,” Cleveland said. Those include long feeder lines with voltage and reactive power problems, as well as neighborhoods with lots of solar, where automated features that allow inverters to ride through voltage sags and surges, while also going offline for anti-islanding purposes, are a pressing matter. Indeed, AB 327 also directs California’s big three investor-owned utilities to come up with ways to “identify optimal locations for the deployment of distributed resources” on their distribution grids by mid-2015. Utilities have long considered the interplay of generation and demand in transmission planning -- but AB 327’s new requirements will push that supply-demand evaluation down to distribution circuits. “AB 327 calls for a pretty innovative distribution resource planning,” Del Chiaro said. “The utilities are being directed by the legislation to come up with some pretty comprehensive plans for how to get around the barriers to more distributed generation.” That could help bring the smart inverter issues out of the category of costly and burdensome regulations for the solar industry, and more in line with broader smart grid goals, she said. “In fact, one of the ideas of the SIWG is that we will start to address this,” Cleveland said, using some of the smart inverter pilots proposed for next year as one potential test ground. Consider it one of many steps yet to come on a long and difficult journey toward distributed solar and smart grid learning to be friends.